Five years ago, Pastor Larry Heenan of Spring Valley Baptist Church in Raytown, Missouri, challenged every Sunday school class in his church to raise $85 for goats from World Vision’s Gift Catalog. For Sharon Baker and her class of 12 third, fourth, and fifth graders, this seemingly simple request felt daunting. They were doubtful they could raise the money for even one goat. 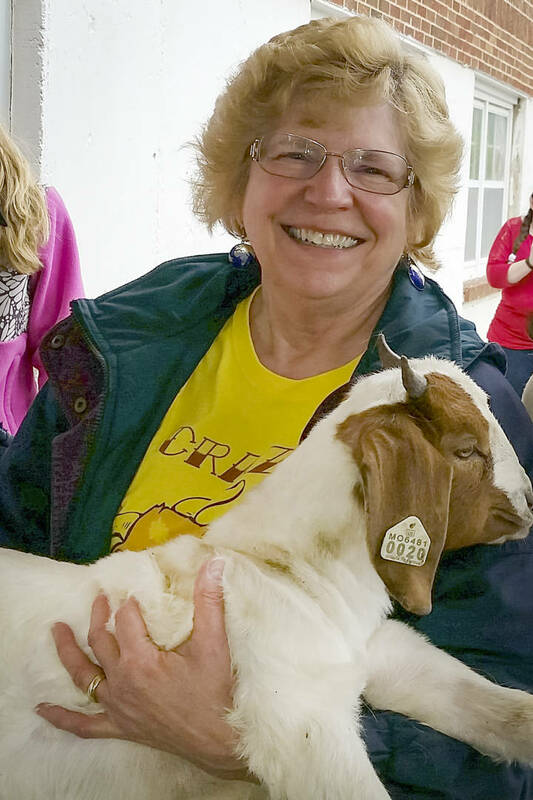 But now with the 478th goat in the works, Sharon’s husband, Tom, has lovingly dubbed her the “crazy goat lady” — a nickname she has embraced with open arms. 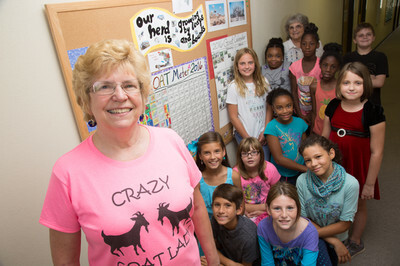 Fundraising really took off once her class started letting donors name each goat — starting with goat No. 47, named “The Old Goat — Russell” by Jaunita Box in memory of her husband. All of the goats now receive names, each one unique to the situation or the reason for buying the goat. And the children were insistent on going back and naming all of the previous goats too. After goat No. 50, Sharon says they were planning to quit, but the children wanted to keep going. And an answer to her prayer came quite obviously the next Sunday morning, with Pastor Danny Dyer pointing directly toward her during his sermon and telling her emphatically to never quit doing this good work. With help from her fellow teachers, Ed and Peggy Conway and Joe and Kim Biondo, the children in their class have been donating their allowances, doing extra chores, selling donated items, saving aluminum cans, collecting UPC codes, and using their imaginations to create crafts to sell — all to add another goat to their classroom’s “goat meter,” which keeps track of their progress. 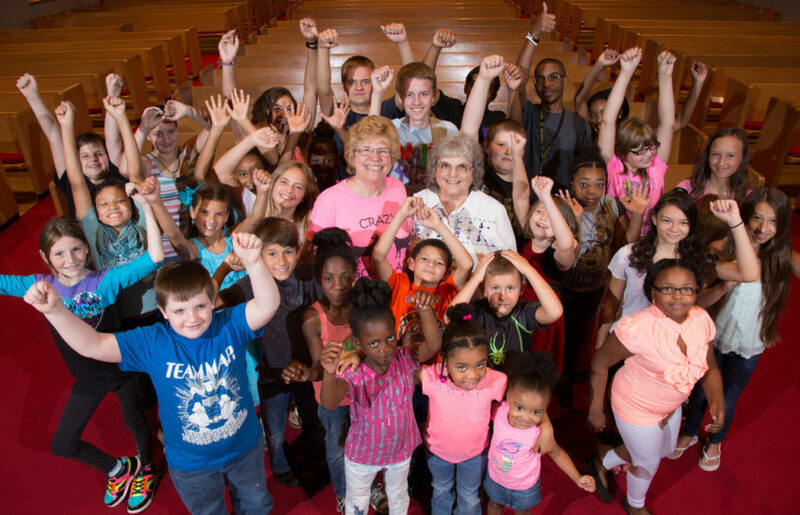 Both the church and the community, particularly those in Sharon’s line dance classes, have rallied behind them every step of the way. Money periodically arrives in her mailbox with a note to buy another goat, and for Sharon’s birthday and Christmas gifts, her friends give a goat in her name. People also donate money in honor of someone or in their memory. 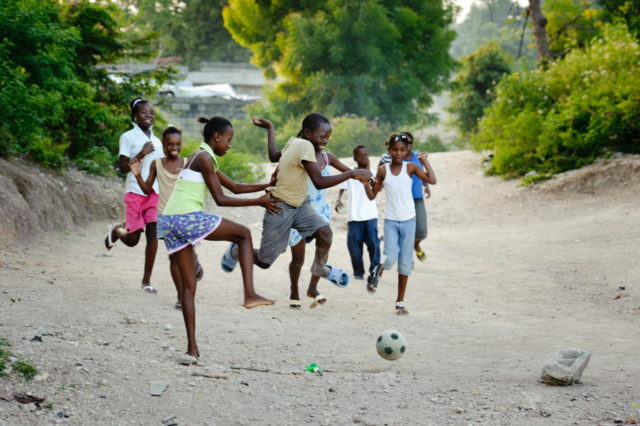 Both their team and impact continue to grow, but Sharon gives all the glory back to God. “Knowledge and prayer bring the passion — the knowledge that there are people out there who are hurting that you can help, and prayer to ask God’s guidance every step of the way,” Sharon says. “There are doors we never dreamed we could open. Donate a goat in the name of a loved one through World Vision’s Gift Catalog.